Johnson & Johnson has lost another talcum powder lawsuit. A jury in California yesterday awarded a 63-year-old woman $417 million after hearing that she was diagnosed with ovarian cancer after using J&J's talcum powder. The company faces more than 5,000 lawsuits over its talc products. It has lost four cases in St. Louis courts totaling more than $300 million, according to Bloomberg. “We are preparing for additional trials in the U.S. and we will continue to defend the safety of Johnson’s Baby Powder,” the company said in a statement, adding that science "supports the safety" of its products. “The powder can be a killer and J&J hid that from unsuspecting consumers. Make no mistake: these are not rogue jurors, but thoughtful citizens reacting to incontrovertible evidence of lies by a pharmaceutical giant,” Conroy said in an email to ConsumerAffairs. In May, Johnson & Johnson lost a $110 million case to plaintiff Lois Slemp, who developed cancer after using the company's talcum products for four decades. Monday's case was the first to be heard by a California jury. The jurors deliberated for more than two days after a three-week trial. According to Echeverria’s lawsuit, scientists knew as early as the 1960s that talcum powder is a carcinogen and that using it in the genital area increases the risk of ovarian cancer. 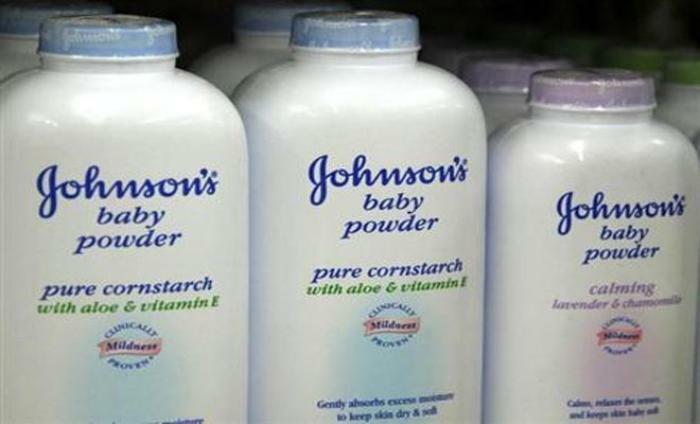 Echeverria’s lawyer Mark Robinson urged Johnson & Johnson to change its policy and start warning the public about the risks associated with its talc products. The U.S. Food and Drug Administration says that scientists have raised the possibility of a link between talcum powders and ovarian cancer since the 1960s but says the findings have not been conclusive.